NEW! 20 designer, volleyball certificate templates for you to create fantastic looking certificates easily from home. Lots of fun designs that your players will appreciate. Create a lasting memory of a great season when you award these. Recognize players, and coaches with stylish volleyball awards of achievement. From “We Dig Your Attitude” to “Volleyball Dream Team,” we’ve got you covered with lots of choices. 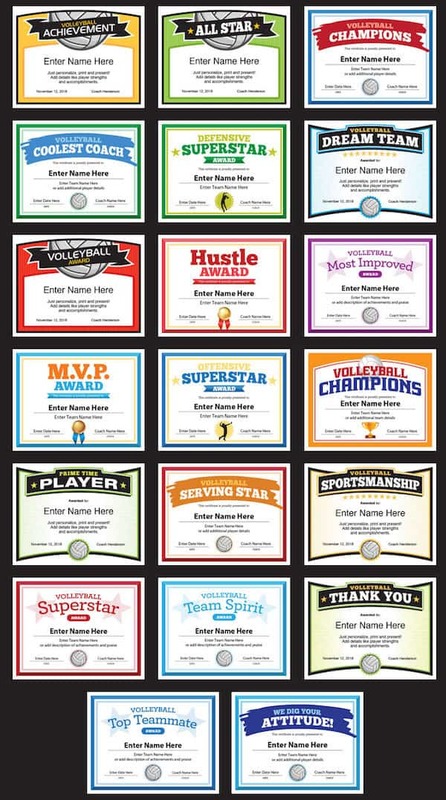 Includes 20 printable volleyball award certificates and coach forms with various designs in a downloadable PDF file that works on a PC or Mac. Customize these forms by adding a player’s name and words of praise or team info. Print as many as you like. Designs are set to work on standard 8.5″ x 11″ paper. With these volleyball award certificate templates and volleyball coaching form templates, it’s simple and easy to do. It’s a fun way to plus up your team communications. As a coach or team manager, you’ll look polished and well-prepared. Check out how a volleyball team with no uniforms competed. Purchase the Volleyball Certificates Templates, and receive the Classroom Bundle FREE! • Put a smile on your players’ faces. Who doesn’t like to receive an award? • Easy to do. 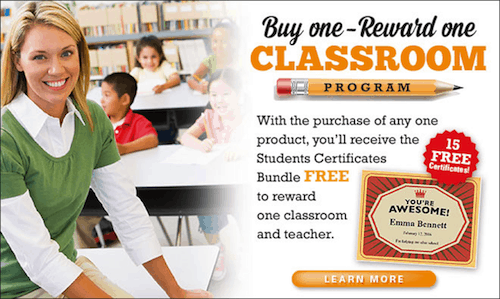 Create personalized award certificates in minutes. • Print as many as you’d like. Once you’ve purchased, you can use them year after year. • Choices. Cool designs to choose from. See some great volleyball videos here. The volleyball award certificate maker and coaching forms come as a PDF that works on Mac and PCs. You’ll receive a link after purchase which you’ll click to download the PDF file. You’ll get instant access so you can review the product in full and begin making coaching forms and award certificates. 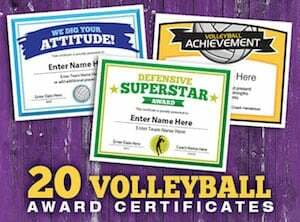 Get both the Elite 20 Volleyball Certificates pack and our Original Volleyball Certificates and Coaching Forms for just $23.99. 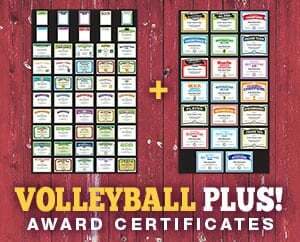 Find our more about our DELUXE Volleyball Plus Certificates Bundle here.